As part of the plans for a long term development of the NHS, large funding strategies are being devised that would focus on General Practitioners as well as community care and mental health services. As these services get the much needed boost, the health officials hope that the reliance on hospitals would go down. The NHS with this strategy could be preventing ill health and saving lives of up to 500,000 individuals. With the future plans in place, the hospitals could be facing a cut in funds while preventive health is the main focus. According to senior doctors however, this was a “near-on impossible task.” They explain that the three wait time targets are for Accident and Emergency care, cancer care and routine operations. They explain that at present most trusts are unable to meet these wait time targets. It is still a long way off to reach what is currently being planned, they explain. The 10-year plan is to be soon released by the NHS England chief executive Simon Stevens and Prime Minister Theresa May. The NHS says that one third of the extra £20bn given to the NHS in 2023 would be diverted to the GPs, mental health care and community care. At present the amounts spent on these sectors is less than a quarter of the whole budget. 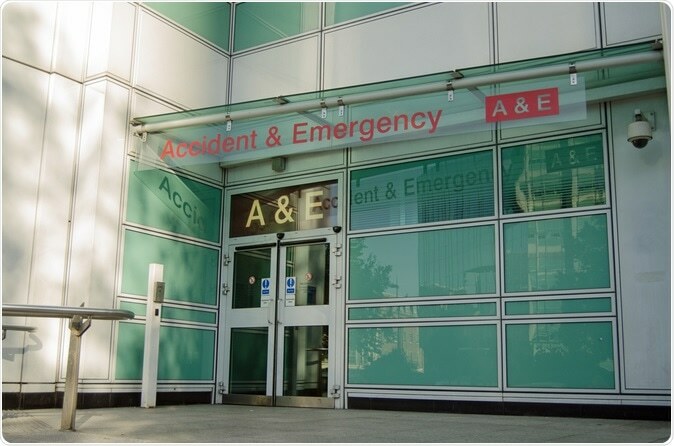 Hospitals at present take up more than half of the £114bn NHS budget. Mr Stevens said that this would be a “practical, costed and phased route map” for the next 10 years. The plan is that mental health care would receive £2.3 billion extra of the £20bn of the NHS budget while the community care and GP services would be receiving £4.5 billion. Mental health care would focus on mental health care support in schools as well as 24-hour access to mental health crisis care via NHS 111. Community care would include support in the communities for patients to ensure early discharge from hospitals. GP services would be improved by digitalizing access to health services and online GP booking. Preventive health care would focus on healthy living programmes and therapies. The focus would also be on genetic testing for children suffering from cancers and rare genetic diseases so that appropriate treatment can be provided for them. Once in place, this new policy could prevent heart disease, strokes, cancers and other health problems by early detection and also help save 500000 lives. Speaking about the 10 year plan, yesterday (6th January 2019), Mrs May called it a “historic” moment for the NHS and said that it would go on to provide “world class” treatments to the population. “This investment is a significant part of our ambition to deliver true parity between physical and mental health,” said Mrs May. “We have already done a lot to end the stigma people with mental ill-health face and make sure they can reach out for help, and this expansion part of our Long Term Plan for the NHS will make a real difference and make the UK a world leader when it comes to both the money it spends on mental health services and the support and treatment it offers those who need it,” she said. NHS continues to say there is one, it has not done enough to end that in house practice.